It’s Back to School once again and we are all busy for our children’s supplies. We get them their school supply lists as well as their personal belongings. I’m not worried at all, because I certainly know where to find good deals, as well as where to obtain my son’s School Belonging and one of them is his lunch bag. Sometimes, he wanted to bring his own lunch and so I make that he has his own lunch bag to use at school. I got the opportunity to review this nice and adorable Green Frog Friends Lunch Bag, Lunch Box, School Bag, Backpack Promotion and I am truly excited for my son. I did not mention it to him, but he was thrilled to see the different items they carry. I let him choose which one he likes and I kid you not he likes them all, but I could have told him what’s the best he likes among the characters they have. Shipment is fast and I see no signs of damage in the product that I was able to use and examine the item right away. The lunch bag is lightweight, the color and design is very detailed and vivid. It is also soft that it seems it is made of a high quality material. There are 2 zippers that would help you locate them easily. It is also roomy and I only noticed one thing was there is some shumck inside and I don’t know what it is. I tried cleaning it but it doesn’t come off at all. It is not visible if you aren’t really looking for one. It is really a nice lunch bag for your kids. My son enjoys it and love the one he picks. 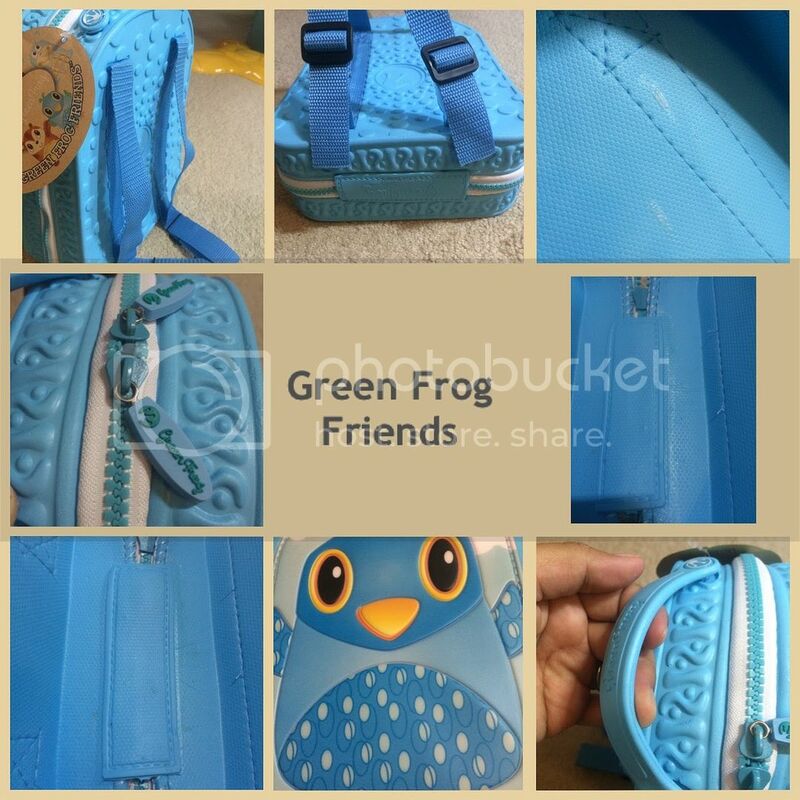 You can purchase this Green Frog Friends Lunch Bag, Lunch Box, School Bag, Backpack through the Amazon.com website.